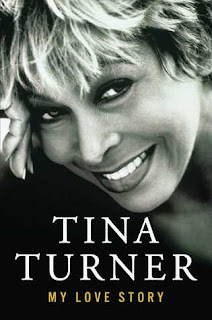 Tina Turner. Queen of Rock & Roll. Living legend. Survivor. My Love Story is about her complicated life from early years in the backwoods of Nutbush, Tennessee to her public abusive marriage to Ike Turner to her happy fairytale wedding and life as a Switzerland citizen. She shares her successes and darkest moments in this new memoir. Anna Mae Bullock holds no punches! If you think you already know about Tina Turner just from watching What's Love Got to Do With It movie, then you are so mistaken. There is so much more detail and depth to her life. My jaw dropped in surprise during some parts. Others, I nodded my head in remembrance. But many chapters revealed things I did not know about this remarkably strong woman. Love literally saved her life.